Absolutely awesome end unit townhouse. 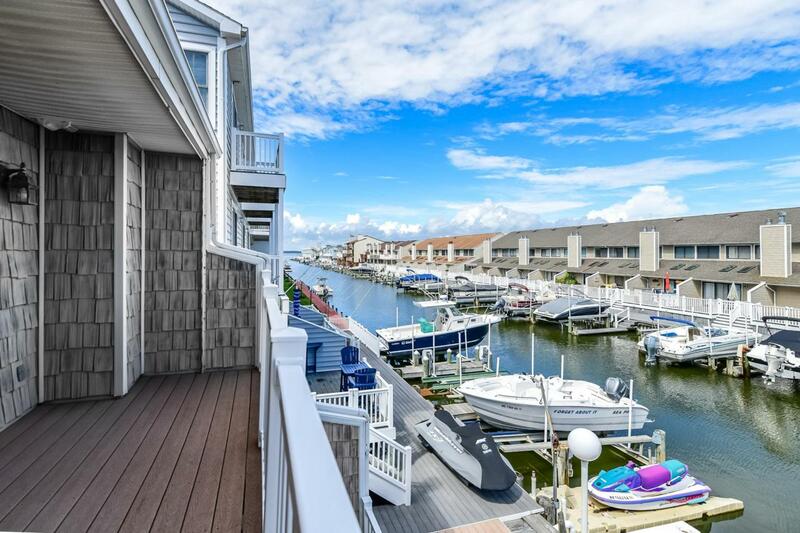 TWO BOAT SLIPS CONVEY AND NO CONDO FEES! Two story home with 2 bed/2.5 bath also has a den (owner converted to sleeping area). It's been loved and maintained by owners...never rented, but has great rental potential. Enjoy the large deck overlooking docks with Newer Trex Decking and Newer Railings. Wake up in your waterfront master bedroom and enjoy coffee on you private balcony and the bay views outside the home's Anderson windows. Dual master suite has own balcony, too. Open living space has large kitchen, dining area and living room with fireplace. Bring your boat, jet skis and flip flops and move right in! Don't miss this opportunity to own 2 boat slips, a townhouse and have no condo fees! Seller will consider flooring allowance with acceptable offer. "**ATTENTION OUT OF AREA BROKERS**: Although we are now all using the same brightMLS, we are NOT part of the same Sentrilock-So your Sentrilock key will NOT work in our lockboxes!. *PLEASE* you must call Coastal Association of REALTORS~ and sign the reciprocity agreement if you plan to show any listings in this area. Ph# 410-614-4409. ***I will NOT be giving out one day codes. Thank you for your cooperation. "